Freedom of choice is at work ahead of Bitcoin Cash hard fork. Two “warring” factions with different ideas on how the network should proceed are not bulging. While most platforms are neutral ahead of the software hard fork, some have made their positions known. CoinBase for example will pause Bitcoin Cash trading on Nov 14 meaning user funds are safe. In statement, the US exchange said they shall be monitoring the upgrade and in the unlikely event the network split, then it shall support the version published by bitcoincash.org. At the same time, Binance will support both versions—Bitcoin Cash SV and Bitcoin Cash ABC but trading will kick-off once the network is steady. Binance would like to confirm support for the upcoming Bitcoin Cash hard fork. We will take a snapshot of all Bitcoin Cash balances at UNIX time 1542300000, 2018/11/15 4:40:00 PM (UTC). Deposits and withdrawals of Bitcoin Cash will be suspended starting from 2018/11/15 3:00:00 PM (UTC). Traders who want to enjoy the full benefits of volatility need to move their funds to Poloniex. 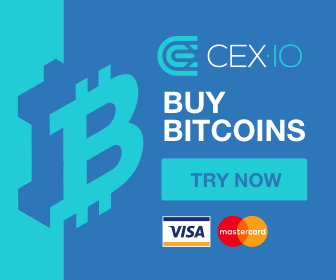 The exchange has the backing of Circle. At the moment it is the only exchange that is listing the pre-fork version of SV and ABC for trading against USDC—a stable coin and Bitcoin. While exchanges declare their positions, Trezor has the back of Bitcoin Cash ABC while Centbee supports Bitcoin Cash SV and Craig Wright. Info for Bitcoin Cash $BCH users about upcoming hardfork: Trezor servers run Bitcoin ABC which will follow the ABC proposal. There is no replay protection, so users have to take their own measures to split the coins on other chains that may emerge. Thing is, Bitcoin Cash is at a precipice. We should expect more of this in the future because the network typically reviews their code and carry out fitting upgrades once every six months. But, it’s all about miners and the version with more hash rate will survive. After super gains early this week, BCH is correcting. It happens after periods of sharp gains meaning at one point there was a misprice which the market is now dealing with. But still, BCH/USD is up 40 percent from last week’s close as prices stabilize in the daily chart. Needless to say, we retain a neutral to bearish outlook despite current fundamental factors. Though many are interpreting gains of the last two weeks as bullish, BCH/USD is actually stuck in a range mode. From the daily chart you can see that upsides are capped at $600 as BCH find support at $400. What’s even worse is that prices have been in this range mode for the last four months when BCH/USD sunk below $600 in early August. In the daily chart, two bars are important: Oct 11 bear bar printing 73k and Nov 4 bull bar at 182k. Clearly, there is a disparity and after periods of lower lows, BCH/USD did find support from $400. So far, the follow through has been impressive and with Nov 4 reversing Oct 11 losses at the back of strong volumes, it is likely that we shall see a whole bull bar print above $600 resistance level. On one hand BCH/USD is down 95 percent from 2017 peaks and accumulating above $400, on the other BCH/USD is trading within a bear break out pattern of early August. Technically, this means BCH/USD is bearish unless of course a whole bull bar close above $600. If this print then the bear breakout pattern will be invalid and the bull momentum set by Nov 4 will likely propel prices towards $850. A contrarian move could see BCH/USD crash as bears confirm the break out of early August. This is why it is imperative to trend with caution ahead of the software upgrade. Ideally, what we would want to see is a whole bull bar closing above $600 in a bull break out pattern confirming Nov 4 efforts. The post Bitcoin Cash Price Analysis: BCH/USD Bearish ahead of Nov 15 Hard Fork appeared first on Ethereum World News.